You are here: Home / Health / What’s an advance directive, and why should you have one? What’s an advance directive, and why should you have one? An advance directive is a document that spells out your desires for medical treatment, in the event you become unable to speak for yourself. Not something anyone likes to think about. But recording your wishes now can guide loved ones in the future if they need to make decisions on your behalf. Advance directives go by many names. An advance directive is also called a “personal directive” or “medical directive.” The category includes Living Wills, Do Not Resuscitate (DNR) orders, and Physician Orders for Life-Sustaining Treatment (POLST). An advance directive designates a person to serve as your Health Care Agent, Health Care Proxy or Power of Attorney (POA) for Health Care. It also communicates your wishes about the types of treatment you do and don’t want to receive. Many estate attorneys create advance directives when drawing up wills for their clients. But if you’re doing your own, be sure to check your state’s requirements. Many states publish forms they deem to be acceptable. The fact that your state publishes a sample form doesn’t mean the medical system will disregard your attorney-created form. But it provides an option for those who don’t yet have an advance directive. Here is the Advance Health Directive form that the California Attorney General’s office publishes on their website. What’s covered in an advance directive? Antibiotics, medication for pain, nausea, etc. Some advance directives even discuss matters outside the realm of healthcare but related to end-of-life. For example, you could request a chaplain or other spiritual leader to visit you if you might die soon. Or you could say whether you want to donate organs and body tissues after death. What if you’re only temporarily incapacitated? Your advance directive designates a person to make decisions on your behalf if you become incapacitated “permanently,” or just temporarily (due to a car accident, for example). Note, however, that your wishes for life-sustaining treatment are requests. They are not legally binding, but they give families and medical personnel guidance that may help them feel better about whether to use extreme life-preserving measures. Additionally, your doctors have the right to disregard your advance directive when they determine it’s not in your best interest medically. How can you make sure people know you have an advance directive? Your medical providers and next-of-kin won’t know about your advance directive unless you tell them. You should give copies of it to your primary care physician, cardiologist and other specialists you consult regularly. 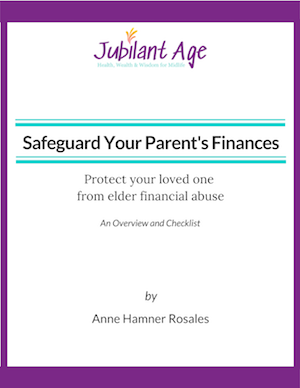 You’ll also want to provide copies to your relatives, especially to your designated health care agent. Hospitals and nursing homes often ask new patients to choose whether they want CPR or other interventions if their heart stops beating. If the patient prefers no intervention, the facility will put a DNR order in place. Once they discharge the patient, however, the hospital DNR order is no longer in effect. Patients who don’t want resuscitation should work with their doctors to create outside-the-hospital DNR orders. They then should display such orders in the home, in the event that someone calls 911 to summon emergency personnel. Unfortunately, DNR orders can be often missed during emergency situations. Health care agents and other family members often have to remind emergency personnel about a DNR, even give them a copy. For example, see this New York Times article. If a person has an advanced illness and wants to communicate her wishes regarding CPR, ventilators and so on, she can ask her doctor to complete a POLST (Physician Orders for Life-Sustaining Treatment) form. The patient should display the POLST document prominently in her home. It gives physician’s orders which emergency medical personnel must follow. Most states have their own POLST forms. If a person is in hospice care, the medical team has likely told family members to seek help from sources other than the emergency medical system. But it can happen that, in a moment of uncertainty, someone will dial 911 anyway. If EMTs, paramedics, and emergency room doctors don’t see a DNR or POLST, they are obligated to take heroic measures to preserve life — even if that’s not what the patient actually wanted. I’m healthy. Why would I want an advance directive? Advance directives are useful in the event you experience a life-threatening emergency — which can happen at any age. If you are temporarily incapacitated due to a car accident, complications during surgery, or another unforeseen event, you’ve already chosen someone to speak for you. Making an advance directive allows you to be “in charge,” even when you’re unconscious. You empower your trusted health care agent to decide for you and avoid delays that can arise when family members disagree. If you’re like most of us in midlife, you don’t want to think about your own mortality. So you procrastinate making an advance directive. But it’s better to express your wishes and choose a health care agent in advance. Once you’re incapacitated, it’s obviously too late to draw up an advanced directive. Plus, most advance directives distinguish between care when recovery is expected and end-of-life care. At any rate, appointing a health care proxy you trust can increase your confidence that others will respect your wishes, even if you can’t advocate for yourself. Creating an advance directive helps you focus on questions about life-sustaining treatment that you may have been avoiding. It’s fine if your advance directive says you desire all measures to be taken on your behalf. This statement will provide helpful direction for doctors and your chosen health care agent. And you can revise it later if you change your mind. When dealing with advance directives, there is perhaps one thing even more important than signing the document. Which is to consider and discuss with loved ones what types of treatments you do and don’t want if you ever are unable to speak for yourself. Yes, the document gives decision-making authority to your chosen health care agent. But if other family members have heard you talk about a desire to forego life-prolonging measures, they may be more likely to support the decisions of your designated agent. Talking about your own advance directive plans offers a chance to open multi-generational conversations. For example, you might use this opportunity to learn about your parents’ wishes for end-of-life care and encourage them to document their preferences in their own advance directives. You should also remember that, once your children turn 18, you are no longer their automatic decision maker. Adult children can clarify their wishes by designating a health care agent in an advance directive. For example, they may choose a fiancé(e) or long-term significant other as their primary agent, with you as the backup health care proxy. I don’t suggest you make end-of-life care a discussion topic for the holiday dinner table! But find time to broach the subject with your loved ones at some point. You might surface some interesting differences of opinion about end-of-life treatment preferences. Or you might learn that age isn’t a predictor of how people in your family think about advance directives. Good luck, and leave a comment to let me know how it goes!